My baby turned 4 last weekend. 4!??! This age is a great age, though. Old enough to be somewhat self-sufficient, young enough to still want cuddles on a daily basis. 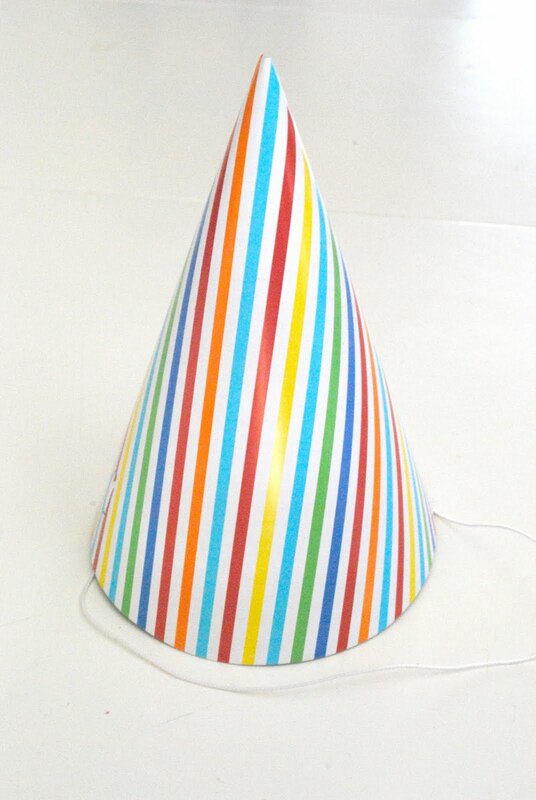 I purchased these fun pre-made party hats. But, of course, they needed a little sumthin', sumthin'. So I embellished them. This was super simple to do. 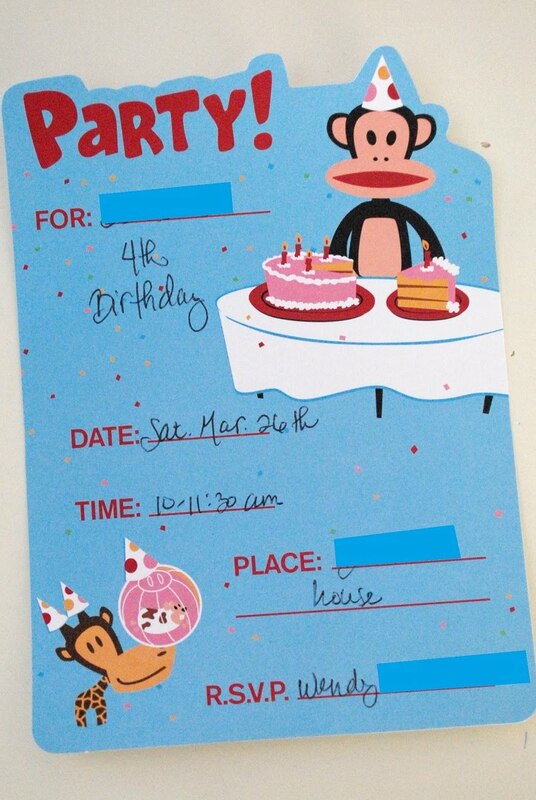 I used my 3" circle craft punch to punch out these great monkey faces from some Paul Frank wrapping paper that we already had on hand. Then I just glued them on to each hat. To add the fringe, I simply used red construction paper (which happened to be exactly the right length to wrap around each hat.) I cut 2" strips, then folded them in half and cut the fringe. To attach them to the hat, I simply stapled the bottom layer to the hat up near the fold, then folded the top layer back down to hide the staples. For the party favors, I opted again for simplicity. I simply filled clear cellophane bags with some candy and punching balloons, then stood noisemakers on their ends so that the fun mylar came out the top of each bag, and tied them with curling ribbon and tags made from more red construction paper and monkey faces cut from the same wrapping paper. The cupcakes followed suit. Rather than making cupcakes as I usually do, I bought them. GASP! To make them more personal, I added sprinkles, placed them inside colorful cupcake cups, and added toppers made from more of the wrapping paper. SO EASY!!!!! To entertain this little group of 3-5 year olds, we made "sculptures" using toothpicks and marshmallows...this required a little bit of supervision, but nothing my bestie, and my two older kiddos couldn't handle. Mr. Two eating his sculpture. Then we played monkey-themed games including a relay race where each kiddo had to hold a banana under his chin while running the course, freeze dance (yeah, okay, so that really had no monkey theme), and red-monkey, green-monkey (the ape version of red-light, green-light). One of Mr. Three's favorite gifts...he's already worn the batteries out...no seriously. 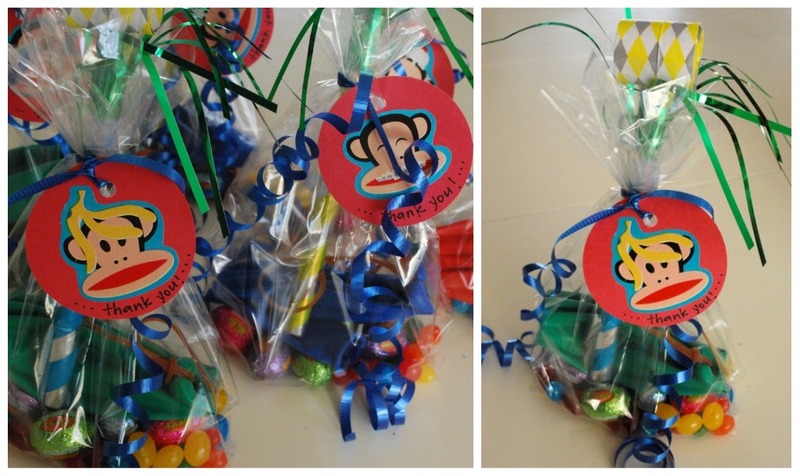 Quite possibly the easiest party I've ever thrown...and the kiddos loved it! Especially this kiddo...which is the whole point! Aw, what a cute Birthday party! 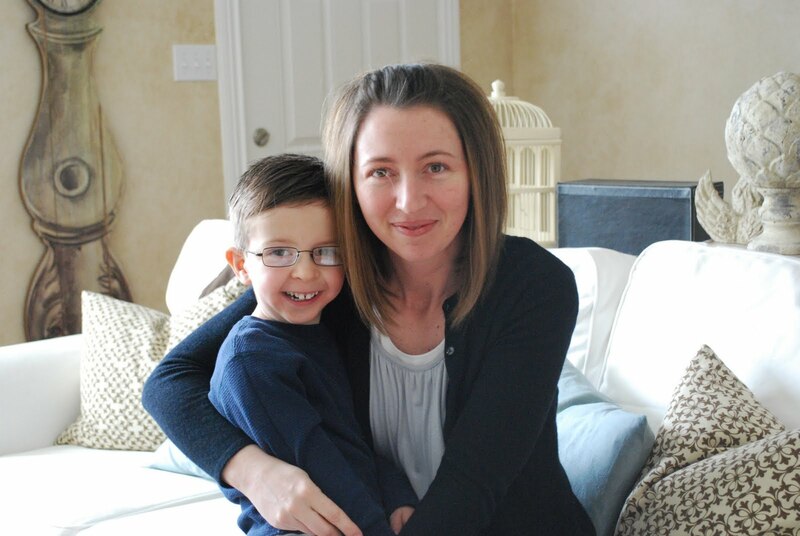 I have a four year old too...such a great age! simple is good :) the kids were just as happy (if not happier) with the simple version as they would have been with something complicated and more expensive . . .good for you!! looks like everyone had a blast and it looked soo cute!! good job mom! I love Paul Frank! What a cute party. My baby turns 4 on Saturday. It surely goes fast doesn't it. LOVE the party. Simple, fun and not one of these crazy parties that cost a kajillion dollars. Thanks again for the stylish and realistic view. 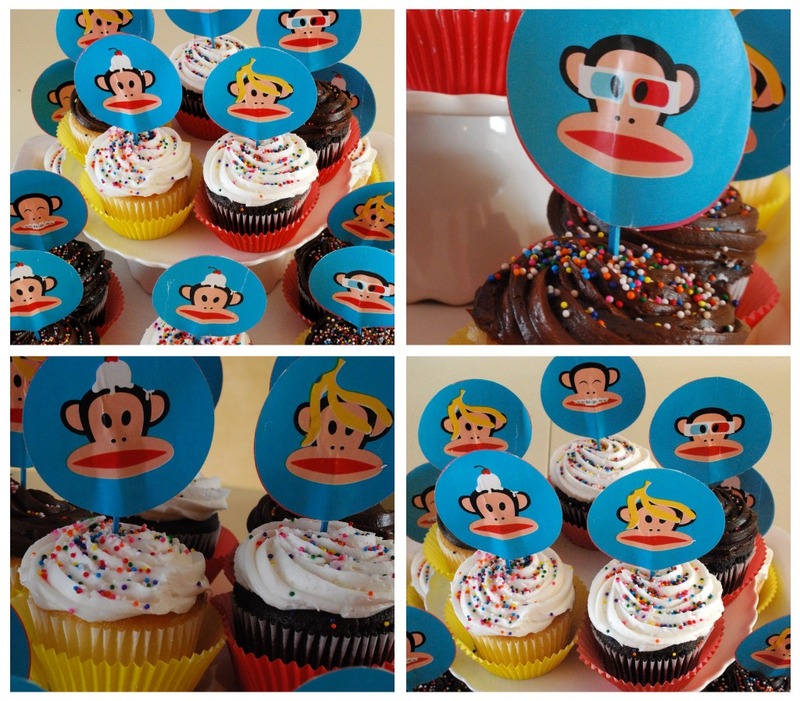 Paul Frank is some cute stuff..Love the party and decorations..HaPpY BiRtHdAy to your little man..Have a great weekend..